Flipd App : finally a solution to influence the future generation ! In today's digital trendy world, everything depends and rely's upon those tiny little gadgets fitting inside our pockets. Considerably enough, smartphones! They've made our lives easier, you need something ? pull out your phone, Google it ! Or maybe say those fancy commands like Ok Google, Hey Cortana, Hey Siri ! to get the respective answers in a concise manner, depending upon the ecosystem, that you rely on. Put forth bottomline is, things have been a lot easier than ever before with the pace of technology, thriving itself ahead ! Well every coin has its 2 sides ! With some social apps like Facebook, Twitter, Instagram, Pinterest and Whatsapp, one can easily be " Productive" in his/her early days. Days pass on, you look behind and realize your mistakes ! Yes, it is easier to sometimes send important Documents right away to your person, and features like these comes in handy too, but this is the reason why we have been encircled in these " App lifestyle " sort of things. We are now constantly checking/pinging up our phone facebooking, tweeting, Instagramming & ohh WhatsApp ?, there's not even a fraction of second that we can stay away from it, isn't it ? Well, what if there was a better, a more conventional way, to stay distracted from all this things ? Turns out there's one, trust me this is the best thing, I've seen in years ! 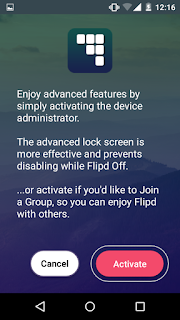 So I was approached by an developer to try their App out and expand their reach across India with the app named " Flipd ". I replied positively, so there i'm busy with my exams didn't got a chance to try it, but finally today I installed the App on my Phone & I have to say, " By far, this is the best thing happening that's gonna last for centuries and help shape the future generations, successfully #period ! Why am i bragging about this app so bad ? 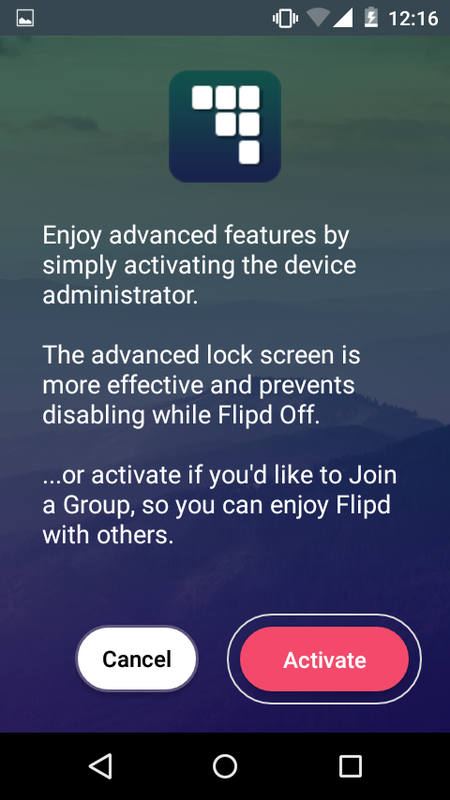 Flipd is an app that let's you stay away from your phone, completely locked out! 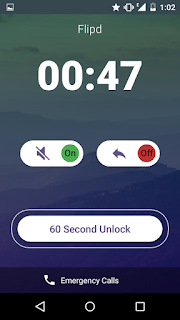 Once you turn on the feature : flip on, by selecting your preferred timer, you are completely locked out, you can't access anything until the timer runs out! 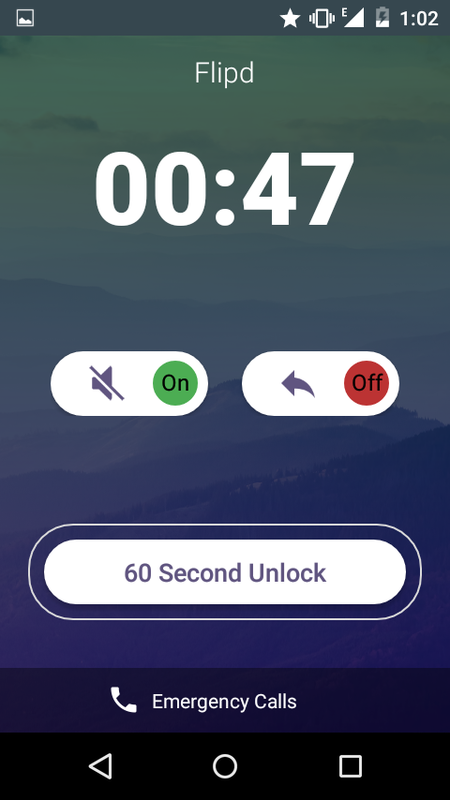 Basically what happens is, your phone is covered up with a shield of lockscreen with a timer, that shows up no matter how hard, you try to push any navigation keys or try to minimize it won't work, no unlock patterns, no passwords, crazy isn't it ? haha..!! Parents are going to enjoy it, it's like "hey kid, you can't drive the car until i unlock it !". 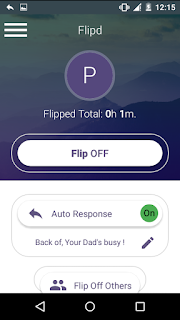 Ohh yeah, there are some parental features (Group mode) where you can simply lock your kid's phone down for a specific amount of " Study time" ! ( Sorry young fellas  ) Once locked up nothing can be done. 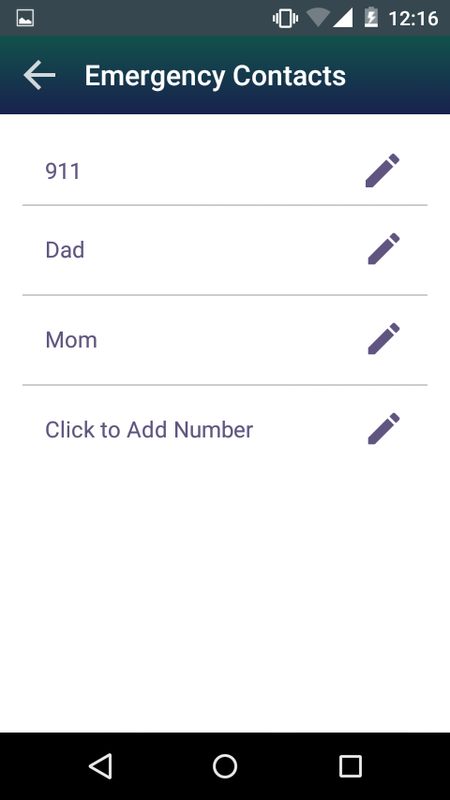 But there are some interesting additions too, features like adding up emergency contacts right up the lockscreen and 60 sec back off, just in case you need something ! 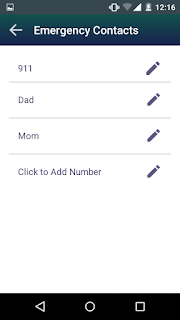 Setting up the app is dead simple just head over to play store download the app & sign in via Google plus or Facebook. Once logged in, the app describes itself of what it's made for with an tutorial on the fly ! You can even put your own auto responses to the people trying to constantly buzz you. My opinion : I constantly checkout my phone, no matter what ! Even if i think of switching it off, i can't resist to turn it back on again, this app really helped me out well with my studies today, students try this App, Defo ya ! At the moment it's available only on Android ! Fun fact : Once you're locked out, all you do is laugh!! , try that :D ! Also see : Google chrome's touch to search feature !